Your guest book table will look lovely with this elegant pen set. 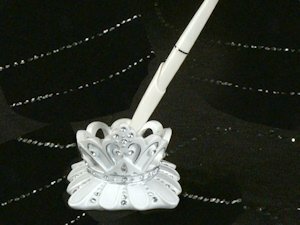 A resin tiara shaped base accented with perfectly placed crystal holds the included pen - standing 8" high. Each set comes gift boxed.